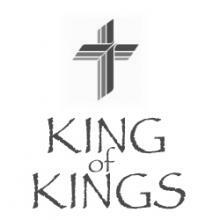 King of Kings is a church family that seeks to “Live with Purpose to Expand God’s Kingdom, Worship the LORD and Strengthen His Family!” If you are looking for a church home in the San Antonio area that loves children as well as seniors, you’re in the right place. If you’re looking for a church in San Antonio that loves music and serving the community, you’re in the right place. If you’re looking for a church in San Antonio that values the Ancient Scriptures (Holy Bible) as the inspired Word of God relevant today, you’re in the right place! Feel free to browse through our website and we hope you’ll attend one of our worship services and get to know some of our members. If you’d like more information, contact us. We are happy to help. Now, may the peace of God that passes all understanding keep your hearts and minds in Christ Jesus, our Lord. Amen! Click below to see our video, Children of God, featuring our Praise Team and our Children’s Choir at King of Kings Lutheran Church in San Antonio.